Aussie’s need to apply a disciplined approach to Burmese breeding. The right approach is critical in order to reduce the risk of mutations; from stagnant bloodlines, community-wide reluctance to inject new bloodlines, longstanding in-breeding, and the inadvertent passing on of unknown bloodline defects. Not all matings are equal. There are three recognised types of breeding: outcrossing, inbreeding, and line breeding. Outcrossing means breeding to unrelated stock in order to strengthen one’s lines; the term hybrid vigour is a key benefit of outcrossing. The downside with outcrossing is that along with all that vigour can come some undesirable or unpredictable genes, because with increased vigour comes a modicum of increased variable genes. The upside to outcrossing is that it increases genetic diversity, thus reducing the probability of an individual being subject to disease and reducing genetic abnormalities. Inbreeding means selecting crosses to parents, and crosses to litter mates. It is important to know what one has in breeding stock to get the crosses right. In-breeding is the easiest and quickest way of learning what is bad, but even more significantly, what is good might just become apparent as well. Line breeding means breeding to a family of cousins of similar lines that have produced your own stock. Upgrading stock to retain the best characteristics in each related line, and then selecting to only line breed with an outstanding individual. The key goal is to get the genes you really want. To do this requires knowledge, patience and longer term goal setting. Pure breeding means cats that have registered ancestry, generation after generation standing behind them, and that means they should produce predictable and like kittens. 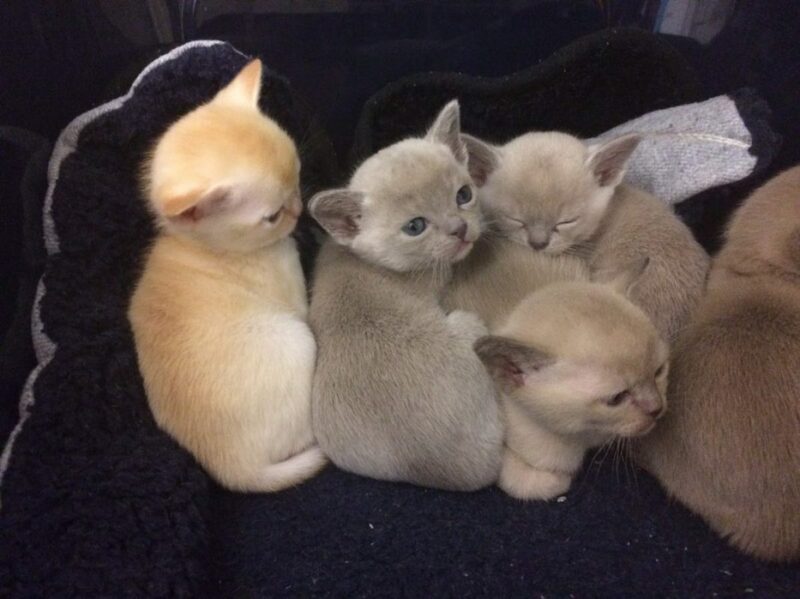 Here at Starkatz, we recognise and embrace the potential benefits of outcrossing and combine that benefit with our well practiced pure breeding discipline to produce lovable Burmese cats of renowned temperament and well-being.